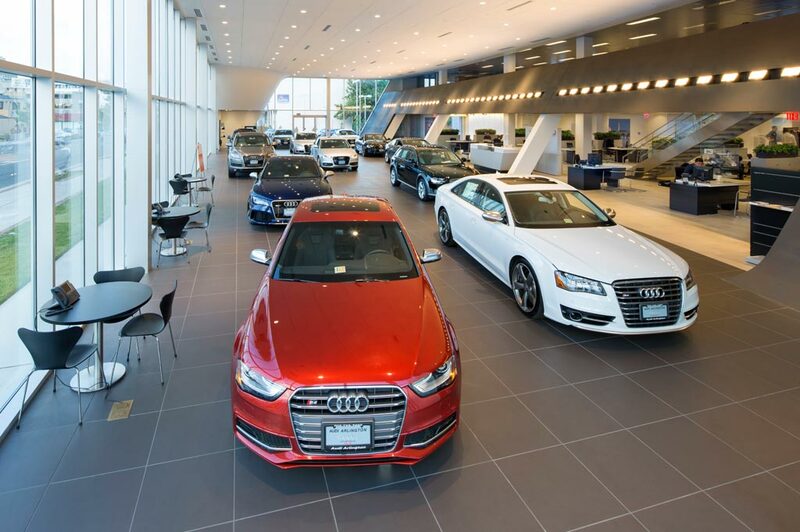 Audi North Austin in Austin, TX treats the needs of each individual customer with paramount concern. We know that you have high expectations, and as a car dealer we enjoy the challenge of meeting and exceeding those standards each and every time. Allow us to demonstrate our commitment to excellence! Our experienced sales staff is eager to share its knowledge and enthusiasm with you. We encourage you to browse our online inventory, schedule a test drive and investigate financing options. You can also request more information about a vehicle using our online form or by calling 512-219-3150. When you're shopping for a new vehicle, we believe you need a comfortable ambience, dynamic selection of vehicles, competitive options for financing and high-quality service to feel confident and stress-free throughout the car-buying process. At our dealership you will find just that: a great selection of Audi models, and a team that will make the process as smooth as possible. If you place great value on safety, dependability and comfort, then we have the perfect new Audi model for you! Don't hesitate to stop by our Austin dealership to get behind the wheel of a new Audi Q7, Audi A6, Audi Q5, Audi A7 or Audi Q8. Our team of Audi experts will detail each vehicle's best qualities, advanced safety options and innovative features before handing you the keys for a test drive! We're well aware not everyone is looking for a new car out there, and if you're one of those people, we also have the solution for you, too! At Audi North Austin, you're going to find many high quality used car. There's a selection of many used Audi vehicles, which we carefully curate to make sure you get reliable and efficient transport, as well as an affordable option, so you certainly feel like you're getting a ride you're going to love. Once you drive your new Audi vehicle out of our showroom, that doesn't mean our relationship ends. Far from it, in fact. Our goal is to make sure your levels of satisfaction remain high for many miles, and we support you by offering Audi parts. If you need something that isn't currently here, we'll place an order for you. In addition, we also provide auto service as our team of maintenance pros aim to keep your vehicle in the most pristine condition possible with routine repairs, checkups, and much more. Are you ready to experience everything the team at Audi North Austin has to offer drivers from Round Rock, Cedar Park, and Georgetown? Consider joining us at 12971 Pond Springs Road Austin, Texas today.